My sister and I have dozens of memories of Devil’s Slide. 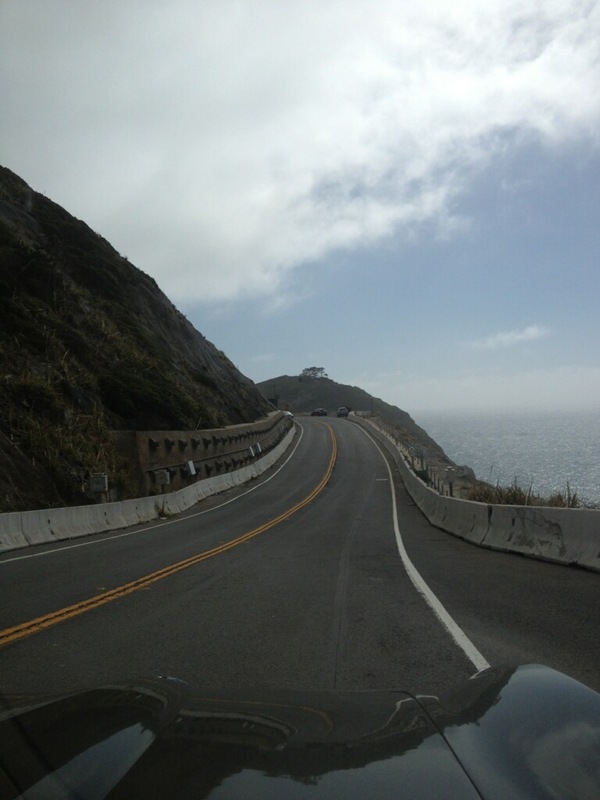 Thirty years ago when I worked in Half Moon Bay, I traversed the Slide daily in my ’67 Camaro Super Sport Convertible until I moved there. We have memories of riding down to Half Moon Bay at night with the top down and the moon up over the ocean. It was hard to pay attention to the road when the view was so stunning. Although Pacifica is a small town, it is still connected to the urban life of the City. Half Moon Bay and its neighboring towns, Moss Beach, Montara and El Granada, are real small towns, there are farms, ranches, a quaint little harbor; they have a real small town flavor. Those towns give us the opportunity to show our kids a different lifestyle, a different pace and a snapshot of how life once was and Devil’s Slide was the conduit. Of course, we came down to Half Moon Bay during the Pumpkin Festival, but that wasn’t the only time. We came down during the holidays and cut ourselves our own Christmas trees, hauling them back over the Slide either in the back of a pickup or the back of a station wagon or tied to the roof of a two-door. My sister comes down every year for Dream Machines, this past year she took one of my younger kids. My oldest daughter and her husband go too. She comes down in the fall for fresh crab at the Pillar Point Harbor. We are of Portuguese descent and Half Moon Bay is a home of an old Portuguese community. Devil’s Slide is the gateway to many things, but it is a connection to a people we are distantly related to as well. Today my sister and her boyfriend took his cherry ’65 Corvette for one last ride on the Slide. She said it was bittersweet. The Slide is a pretty pass, but it can be a demonic drive; that’s how it got its name I suspect. We are excited about the Tunnel. It’s time for something new, the Slide needs a rest and well-deserved renovation. It will be exciting then, when we can walk leisurely this lovely, winding stretch of roadway.